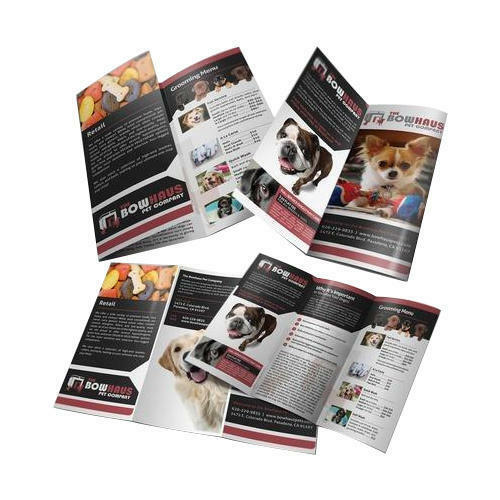 Being one of the renowned firms in the industry, we are decidedly involved in providing a high-quality array of Printed Brochure. We “Higher Price” are a prominent entity engaged in manufacturing a wide range of Printed Brochure, Visiting Card, Business Card, Card Envelope, Flex Banner, Letter Head, Vinyl Flex, Printed Foam, Greeting Card, etc. Incorporated in the year 2016 at Ahmedabad (Gujarat, India), we are a Sole Proprietorship firm, engaged in offering a quality-assured range of products. Our wide range of products, along with design tools suited to every need, mean our client can avail customized items that can be used by them for promotional purposes. Our commitment to helping promote clients' business is stronger than ever. We’re confident that our clients will be totally satisfied with our products, quality, design experience and attentive service. Our mentor, “Mr. Bhargav” (Proprietor), has immense experience and under his worthy guidance, we have achieved a respectable position in this domain.